Bill 6 gives workers access to workers compensation benefits if injured on the job. Other Alberta occupations involving heavy physical labour require WCB -- from construction to the oil companies. The right to refuse unsafe work is a common sense approach to a situation where a person might be maimed for life or worse, dead. Alberta farmers are fighting Bill 6, which makes the farm workplace safer. When did safety become a four-letter word? Bill 6 won't affect family farms. There will still be free child labour and no monetary compensation for injuries to any friends, neighbours, and relatives helping out on the family farm. Bill 6 will, however, protect seasonal workers, migrant workers, and paid employees by giving them the right to refuse unsafe work and be compensated in the event of injury or death. Alberta's Bill 6 is about having a safer workplace. "The Alberta Centre for Injury Control and Research shows that between 1990 and 2009, Alberta had a total of 355 agriculture-related deaths, an average of 18 per year. Estimates are that for each person who dies, 25 others are so severely injured, they are hospitalized. The number of additional injuries requiring medical attention in Alberta is anyone's guess as our legislation does not currently allow us to collect that information." When people get injured on farms, we're not talking about getting a paper cut. These are serious injuries that can rob a family of a loved one or maim a person for life. Alberta family farms have gotten away with not paying compensation for injured employees because they like to 'hire' family and friends without pay. It's a nice, old fashioned way of thinking. But when your friend doesn't have an arm or hand anymore because of an accident on your farm, will a simple thanks for your help or a one-time payment be enough? Probably not, especially if your friend has a family to support. Private insurance only covers so much and most don't cover farm related accidents. The outcry over Bill 6 is spearheaded by the Wildrose party. Leader Brian Jean is using part of Stephen Harper's playbook where fear, misunderstanding, and anger over an issue are used to score political points. Jean is hoping to score political points. It's not about protecting farm workers. "[I]t could cost Alberta marketshare if the new rules aren't put in place because major food processors and retailers such as Walmart, General Mills and McDonalds have all made public commitments toward sustainable food sources, which includes the treatment of farm workers. If we don't have child labour legislation and the right to unionize and everything that's in Bill 6, if we don't have that in place we're going to lose market share. These major corporations are simply not gonna buy our product." 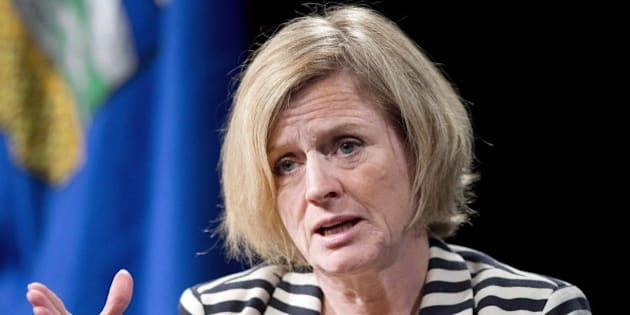 Alberta's Bill 6 isn't about family farms loosing free labour. It's about the farm husband who can't work because he's maimed. The real question is do rural Albertans want farm workers to be protected.